An entrance to opulence. Photo by Massimo Listri. If you walked past this high-end hotel, you might mistake it for one of the surrounding haute boutiques. And you wouldn't be far off. Fathom contributor Christina Ohly checks into one of the poshest addresses in Knightsbridge, London. LONDON – There's no place more special than London for celebrating a milestone birthday, a romantic anniversary, or a Power Ball payout. The historic city holds special charm for revelers: sublime scenery, culture galore, incredible food (who would have thought), and above all else, some of the most luxurious hotels on the planet. 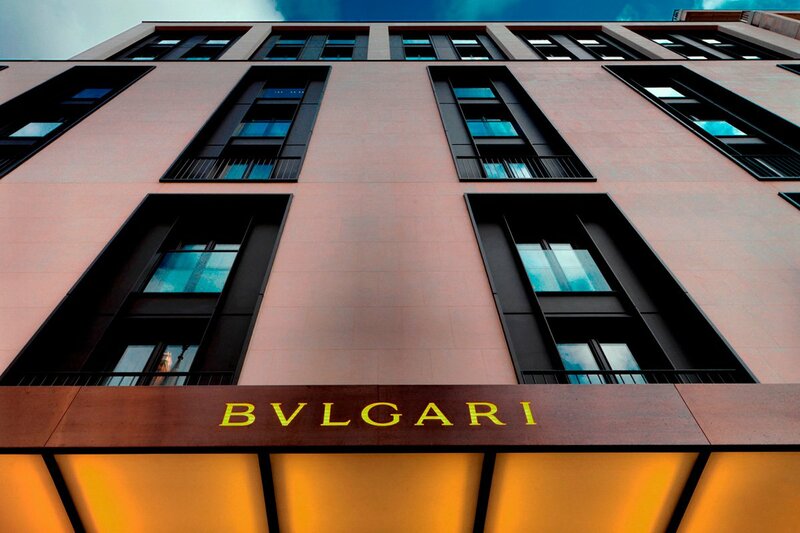 Among the most special and sumptuous is Bulgari Hotel London in Knightsbridge. Such a hotel experience isn't cheap, but here's what you get for your hard-earned pounds. 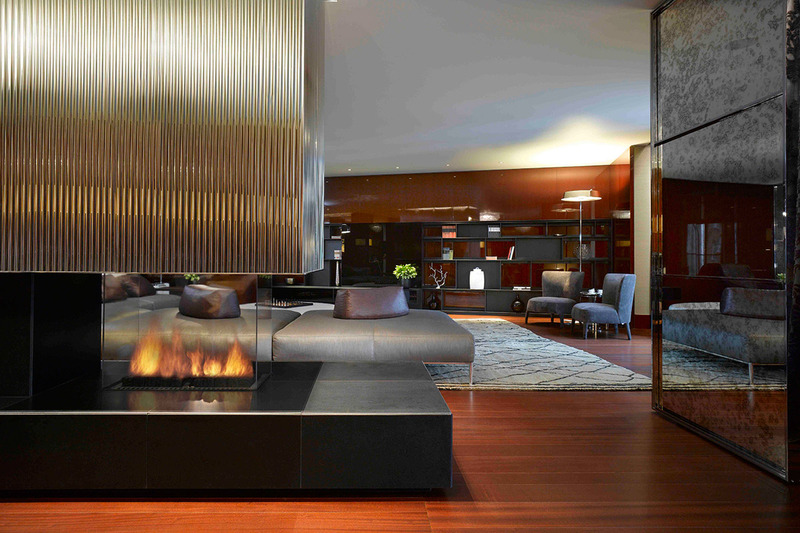 It makes sense that a hotel from the most luxurious jewelry brand in Italy would be just as stunning and opulent. 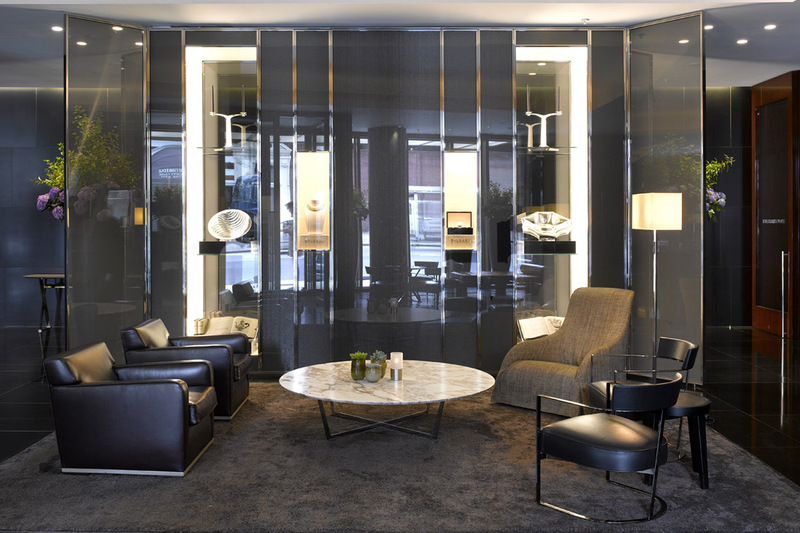 Opened in 2012, the 85-room sleek spot in Knightsbridge is all polished cherry and mahogany and steel finishes, yet the atmosphere is incredibly warm and accessible. That's due to the staff, who are always attentive but never fawning and are clad in simple, streamlined outfits — plain cotton jackets, sensible outerwear, no white gloves or top hats in sight. Everything from your personalized butler to the crisp-filled minibar is incredibly high-touch and low-key at the same time. The lobby. All photos courtesy of Bulgari Hotel London. 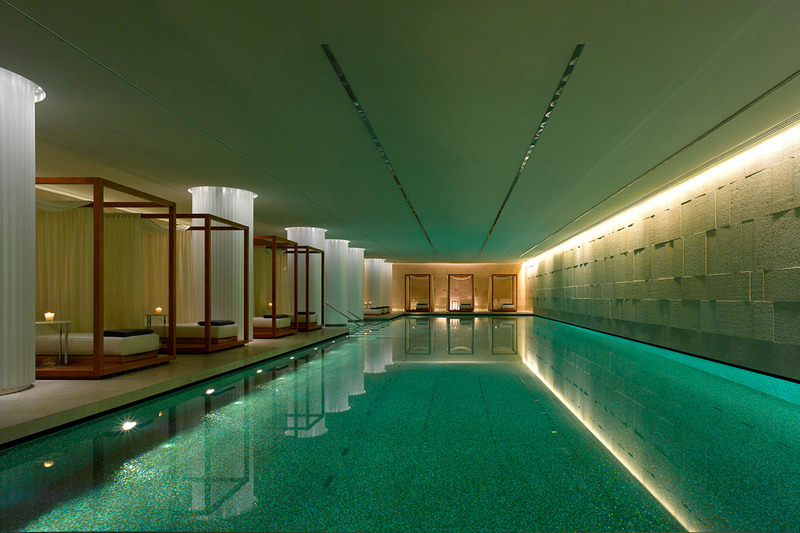 The Bulgari Spa is a stand-alone destination, home to one of the most beautiful pools in London. There's also an expansive menu of treatments ranging from bespoke facials to full-body Thai massages to emotional healing with modern wizard Andrew Wallas, who practices spiritual psychology. New this month are Mauli treatments, like insanely relaxing Sacred Indian Head Massages incorporating hand-crafted Ayurveda products that can only be found on-site. Besides the spa and a chic restaurant serving Mediterranean tapas, you'll find the most outrageous minibars and wine refrigerators. There are no wants for amenities — as the room is already stocked with international electrical sockets, Nespresso machines, personalized stationery, Bulgari beauty products, fruit baskets of never-before-seen varieties, and excellent WiFi. 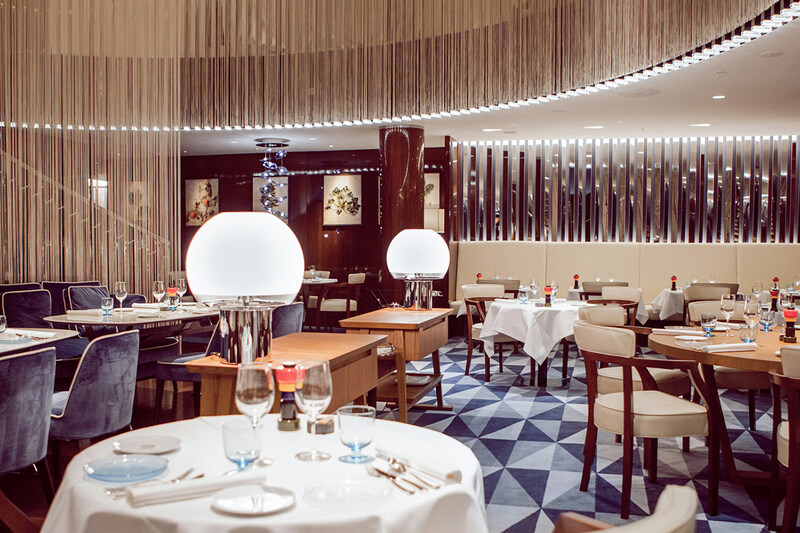 Rivea, the hotel's main fine dining restaurant, is now overseen by Alain Ducasse, and serves everything from perfectly poached eggs at breakfast to small dinner plates for tasting and sharing. Among the standouts are cep mushroom and ricotta ravioli, citrus marinated line-caught sea bream, a Provençal vegetable caponata, house-made lemon shortbread, and a tangy limoncello sorbet. Room service is excellent, too, should you want to have a leisurely meal across from your massive flat-screen TV in the comfort of one of your many fluffy bathrobes. There are 85 rooms, seven of which are indulgent, massive suites. 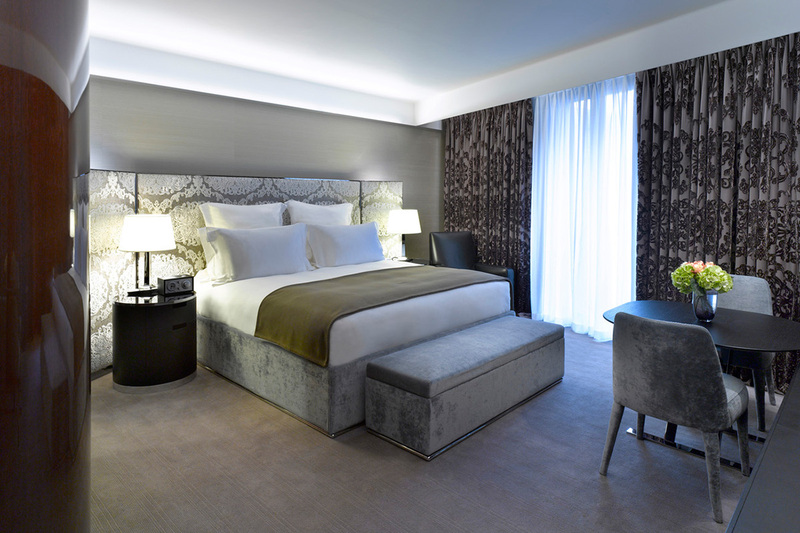 Standard rooms have exquisite linens and fine wood finishes. Suites are something else entirely — expansive living rooms, kitchens with separate refrigerators for wine and food, a dining room that seats ten, and a closet bigger than most New York City apartments. I stayed in Room 553, a decadent suite with floor-to-ceiling windows and three TVs, but a simple, 43-square-meter Deluxe Room would have worked just as well. I barely looked out the window because I was so focused on my exquisite surroundings — the king-size bed and sprawling living area. Sixth-floor suites have expansive terraces and gas fireplaces. Romantics, tourists who want to explore the shops and restaurants of Knightsbridge, and anyone who likes to be near Hyde Park. Anyone on a budget. People who get annoyed by the occasional growl of Ferraris, Lamborghinis, and McLarens that pull up curbside. 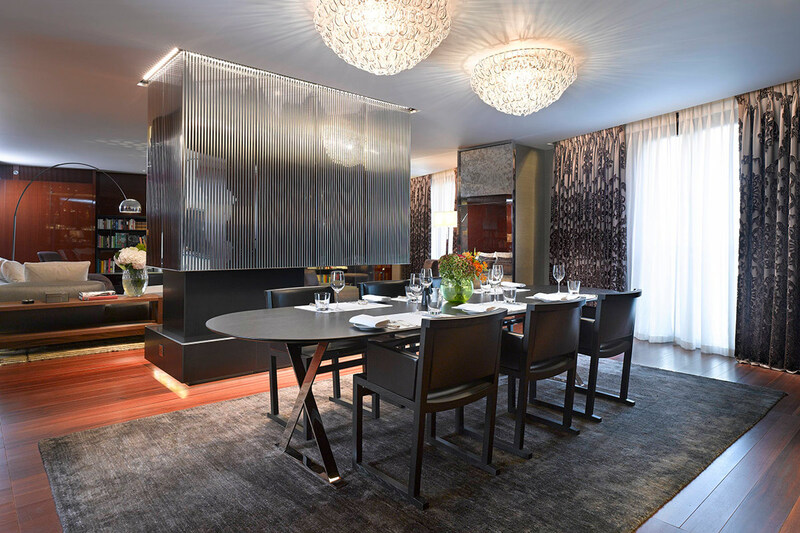 The dining room in Bulgari Suite I. The living room in Bulgari Suite I.
I've always thought of Knightsbridge as the part of London that's thronged with tourists flocking to Harrods, but I found it the perfect jumping-off point for exploring Mayfair, Notting Hill, and North London. The tube station is just steps away from the hotel; Fifth Floor at Harvey Nichols still has the best jams and conveyor belt sushi; and Brompton Road and High Street have everything a hotel guest could need — Boots, Carphone Warehouse for chargers, and the food hall at Harrods which, I must admit, is wonderful. Head out the hotel front door to Hyde Park and Kensington Gardens before hitting the wonderful restaurants of Kensington and Notting Hill, like Sally Clarke's, The Ledbury, and E&O. For a scenic stroll, pass behind Harrods and walk down Chelsea's Walton Street to Brompton Cross for chic shops like Joseph and Chanel and lunch spots like Itsu (another conveyor belt sushi with great people-watching) and La Brasserie (excellent steak frites served by waiters with Continental attitude). Steps from the hotel are concerts at Royal Albert Hall and permanent collections of fashion, furniture, jewelry, and decorative objects at Victoria & Albert Museum. Natural History Museum and the Science Museum is great for families, with its turbines, locomotives, and flight simulators. After a packed day, nothing beats robata-grilled tiger prawns with yuzu or sea bass with burnt tomato and ginger relish at Zuma on Raphael Street just behind the hotel. Rates start at £672. Click here for reservations.